We understand the geo-political issues that impact the market and our Educational Facility Appraisals are well known for their thoroughness and detail. 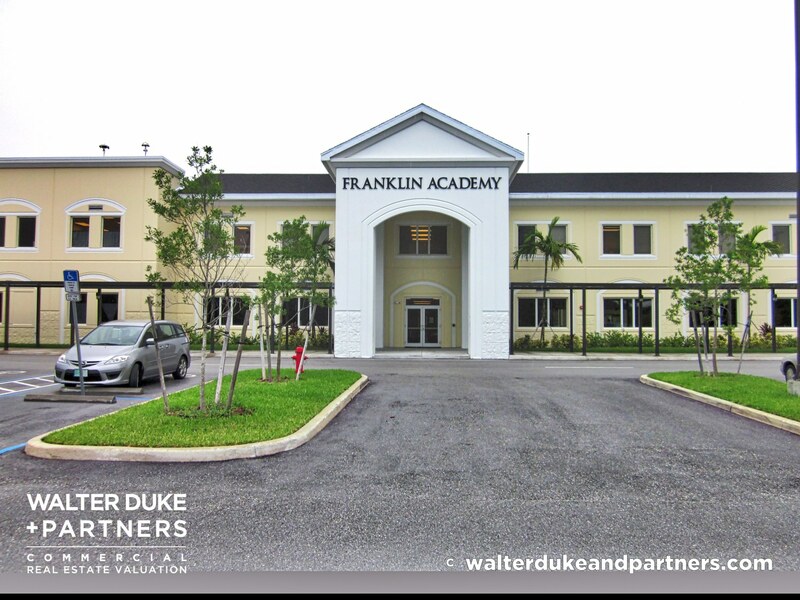 Our deep relationships help Walter Duke + Partners lead the way in the valuation of educational and charter school facilities. Since 1975, Walter Duke + Partners is Florida’s leading expert for Educational Facilities Appraisals. With trends in the educational real estate market moving rapidly, we educate our clients as to the risks associated with these types of investments. This is a core core competency of Walter Duke + Partners, and over the years, we’ve provided thousands of valuations. Our knowledge of this market is well known nationally and we help our clients make critical financial decisions that impact the lives of many. We understand the geo-political issues that impact the educational market and our reports are well known for their thoroughness and detail. We enjoy deep relationships in this market, have state of the art data. The secondary market for charter schools is evolving and are enticing investments to those seeking greater returns than traditional triple net leased assets. Like general commercial real estate, this is also subject to changes in the economy and many times our valuation analysis will consider alternate uses for those properties that may be at the end of their useful life. Walter Duke + Partners has successfully completed over 1,000 appraisals of educational assets in the Florida market over the past quarter century and we stand ready to help you with your specific needs and put you in the best position to make solid financial and business decisions. Walter Duke + Partners understands those trends and risks associated with investing in educational facility properties.